Bosal and Blind Bob mane hair mecate. This Gail Hought 5/8 diameter bosal, 11 1/4" in length, has a medium sof twisted rawhide core with a real nice spring to it. 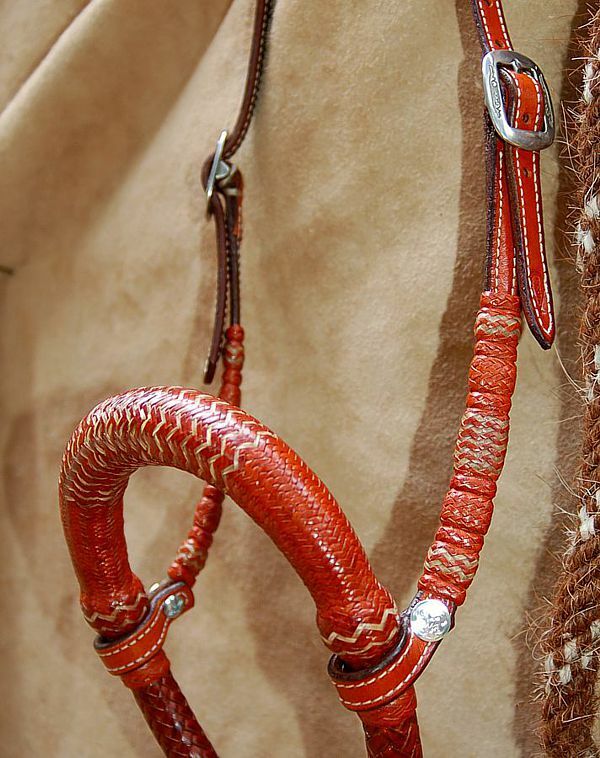 The bosals main color is saddle tan roo with rawhide roo interweave. 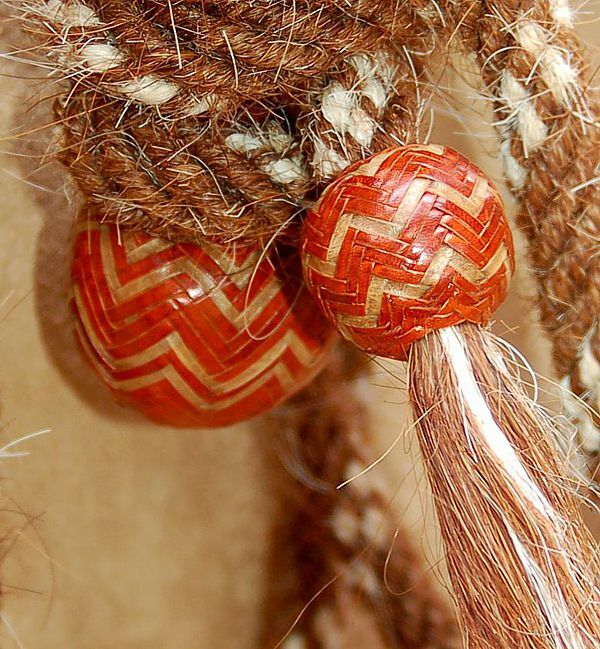 The original rare Blind Bob mecate is 6 strand made from chestnut and white mane hair. 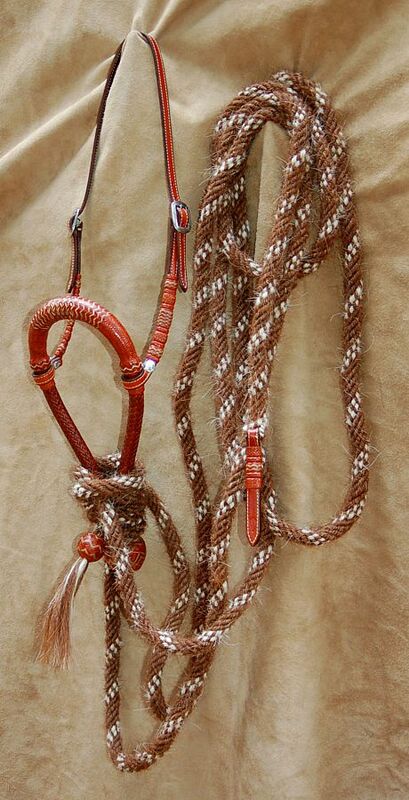 The braiding on the mecate, button and popper is in the same kangaroo rawhide and leather to match the set. 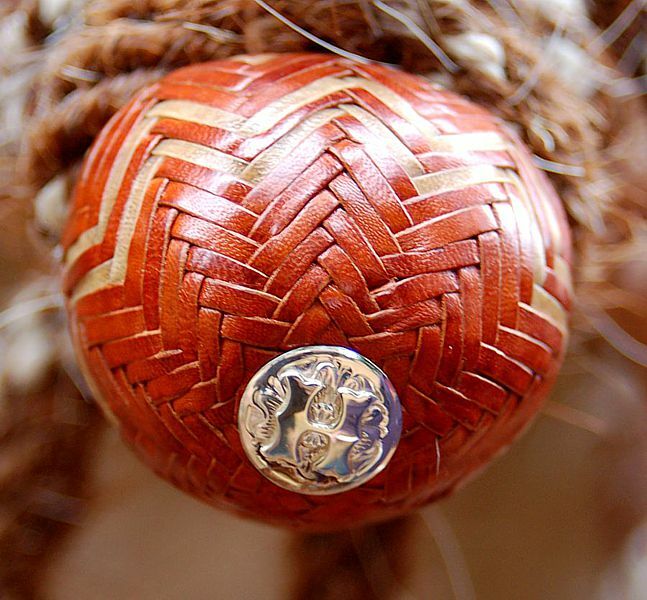 The boal hanger is made by Eric Hought and the matching braided buttons are braided by Gail Hought. The hanger includes Al Stohlman buckles . Finally, the heel knot carries the original makers "H" Hought silver concho. This set was completed in October of 2016. Shipping priced for UPS ground, fully insured for (US only). Please contact us for other shipping options.